Living in the very upper left part of the U.S. has its perks. 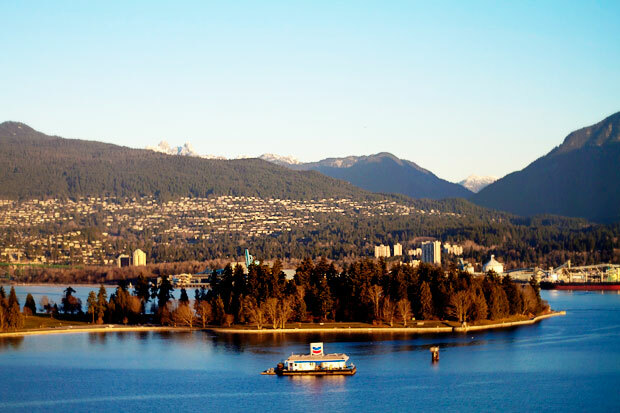 One of the major ones: We’re within a short drive of the beautiful lower mainland of British Columbia, Canada. Rare border-crossing hassles aside, we get easy access to all of the awesome kid fun in Vancouver, without having to endure the cost of living in this spendy little part of the world. 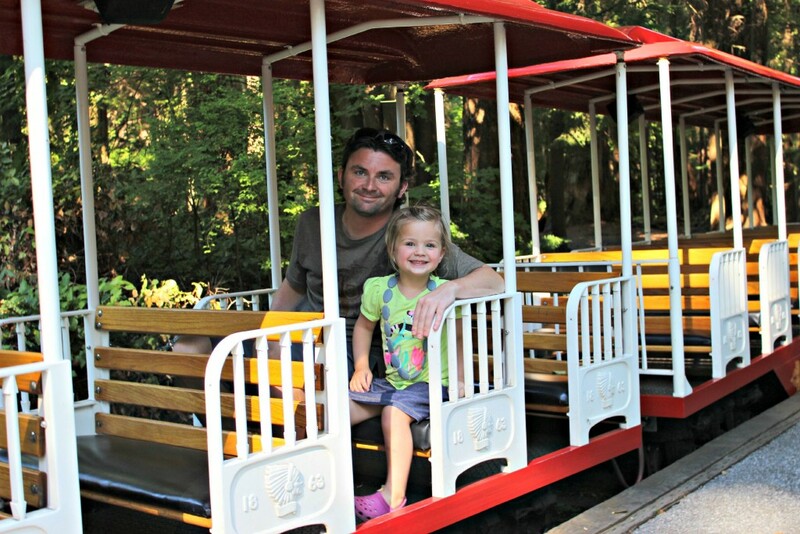 Built in 1964, the Stanley Park Miniature Train carries more than 200,000 passengers each year. It runs year-round but in the late fall changes to a Halloween Ghost Train (save that trip for your older kiddos!) and during the holiday season becomes the widely-popular Stanley Park Bright Nights Christmas Train. We rode the little circuit it travels on last summer and it was a blast! From kid-sized train to big one. 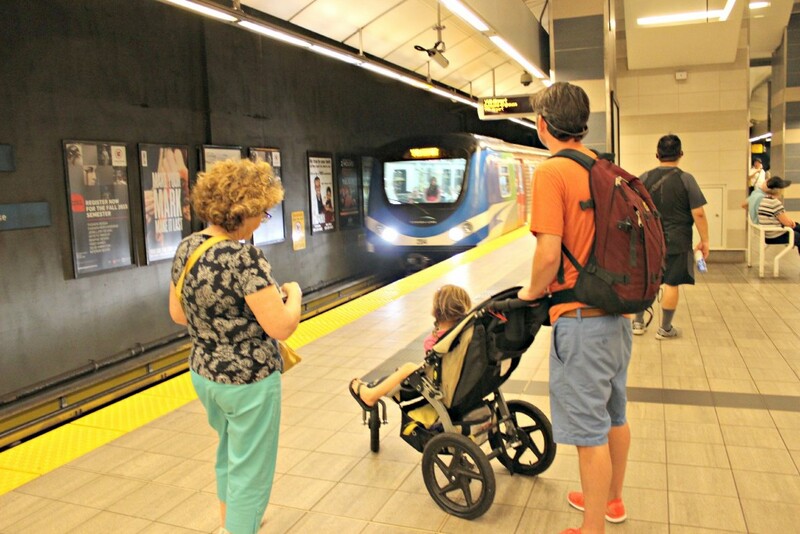 Large-scale events like the 2010 Winter Olympics and well before that, Expo 86 (the 1986 World’s Fair) boosted the need for public transportation from parts of the lower mainland to Vancouver’s downtown area. Enter the Skytrain. Above ground in the suburbs and underground in the city, just the experience of riding this train can be an adventure for little ones. We park in Richmond, BC and take the train straight to downtown, watching the sights as we go. 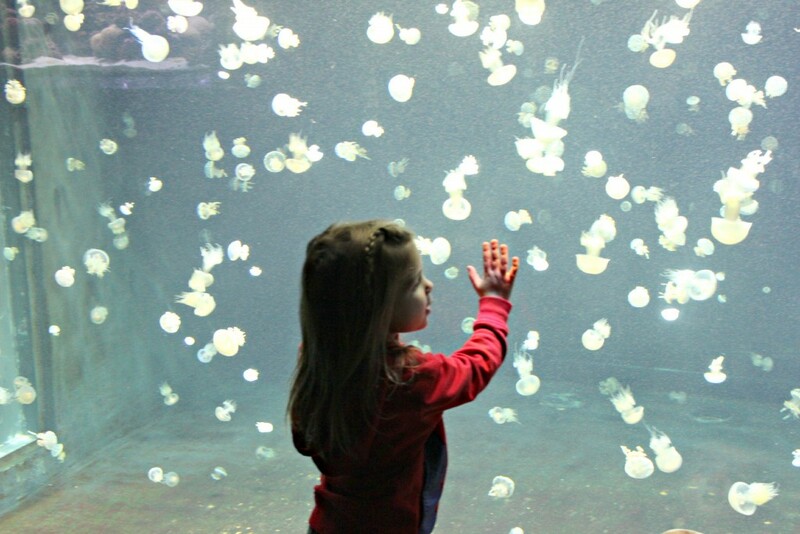 A list of kid-favorites in Vancouver wouldn’t be complete without including the Vancouver Aquarium, located in Stanley Park. While you can see most of the aquarium in a few hours, it’s well worth it to visit this spot again and again. The educational shows, held in different areas throughout the aquarium, are entertaining and informative. The highlight of our last trip to the aquarium for my girls? High-fiving a scuba diver while he was swimming in the shark tank. 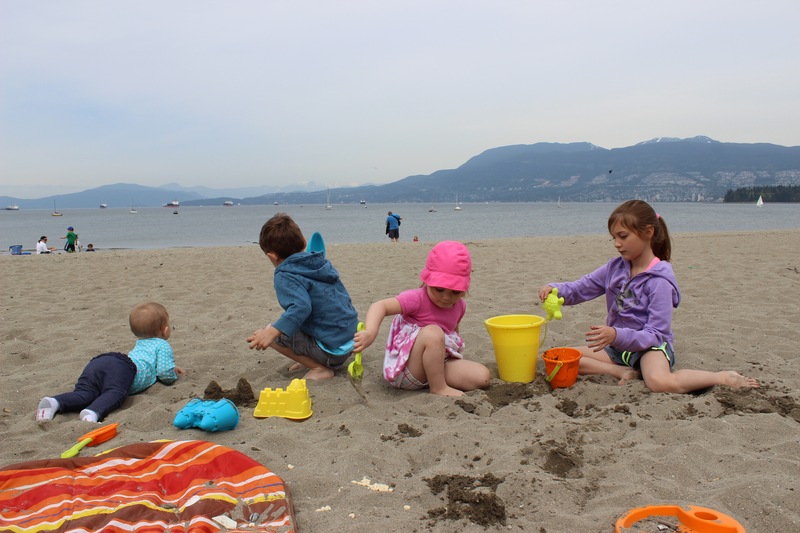 We’ve dug our toes in the sand at both Kitsilano Beach (Insider Tip: Call it Kits’ Beach to sound like a local) and Second Beach in Stanley Park. Sandcastle building for the kids; amazing people watching for the adults. Both have playgrounds located adjacent to the beach for some bonus sand-free fun. Touristy? Yes. Worth it? Yes. 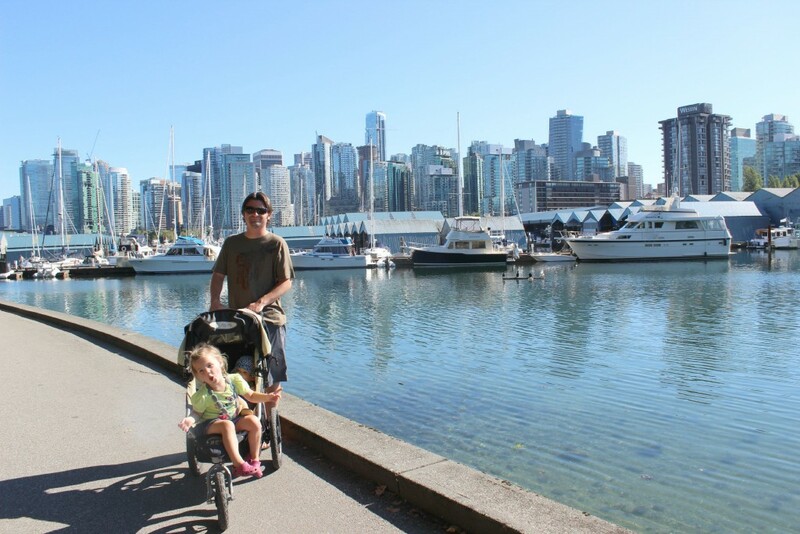 Granville Island is a spot we visit over and over again, both with kids and without. Part of the fun is getting there: From downtown, hop on one of the tiny foot ferries to take you across busy but beautiful False Creek. Visit the Granville Island Public Market to sample of variety of Canadian goodies and pick up lunch from one of the numerous food vendors. In a separate building, the Kids Market has a giant indoor play area with kid-centric shops and eats. Granville is home to the biggest free water park in North America, complete with water slide, plus an awesome playground. 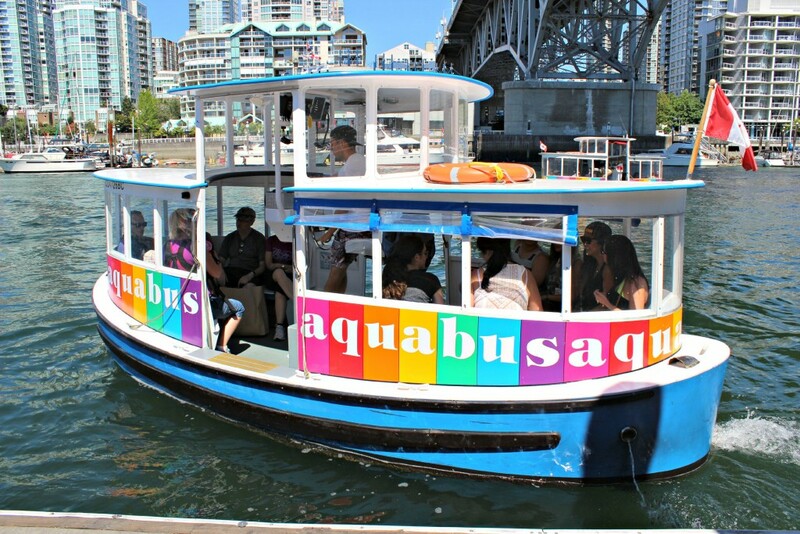 Sans-kids bonus: Granville Island is also home to one of our favorite date-night spots, The Sandbar. There’s yummy food, a great local beer selection and best of all: an incredible view of the city from the rooftop patio. Read more about it here. Watermania is one of those places that’s soooo good that I almost want to keep it a secret. A hidden gem tucked less than a mile kilometer off of the freeway in Richmond, Watermania is our go-to spot in Canada for rainy days. 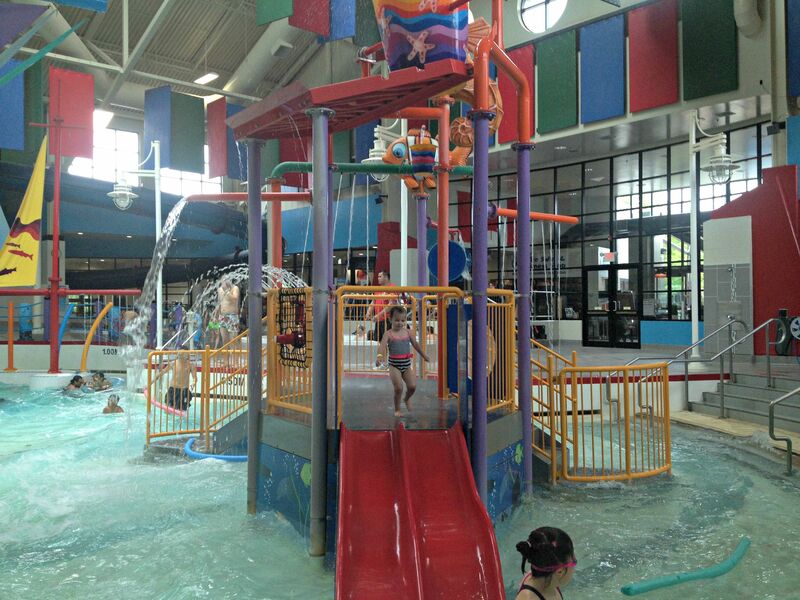 While it has an Olympic-size pool for lap swimming, a giant hot tub, a full fitness center and two water slides, the crown jewel is the large wave pool, complete with a toddler-sized play area right in the middle of the shallow end. 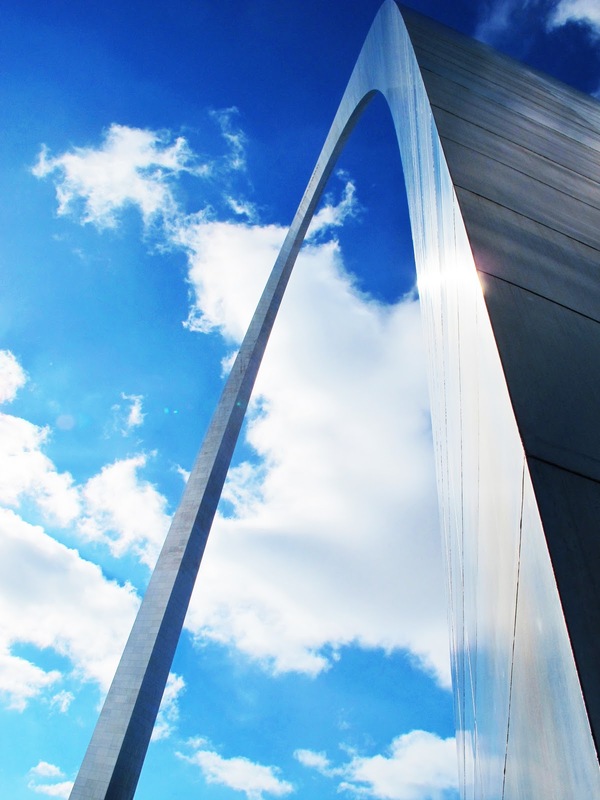 We seriously love this place. It’s super clean, with family-friendly changing areas and huge locker rooms. And, it’s a great value – admission for our family of four is $15 Canadian. On our last visit, my 4-year-old went down the slide approximately 45 times. Watermania is located in Riverport Sports and Entertainment Complex which also includes an ice rink, bowling alley, IMAX movie theatre, trampoline park, laser tag area and an Old Spaghetti Factory. It’s also conveniently around the corner from the Richmond Ikea. We’ve been known to spend the morning at Watermania, do lunch in the Ikea cafeteria and enjoy a quiet ride home with two exhausted kids konked out in their car seats. 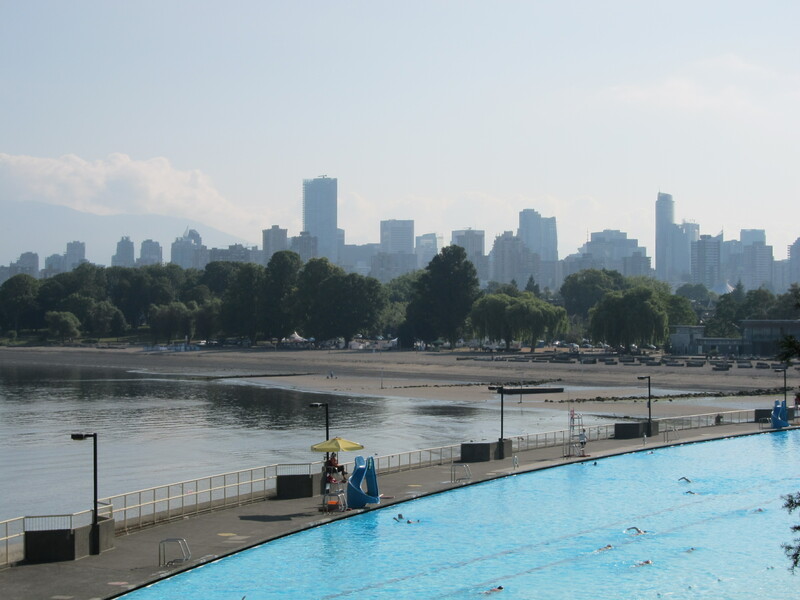 Our list of favorites continues to grow as we explore more of the Vancouver area, but these family-friendly City Gems that can’t be missed! 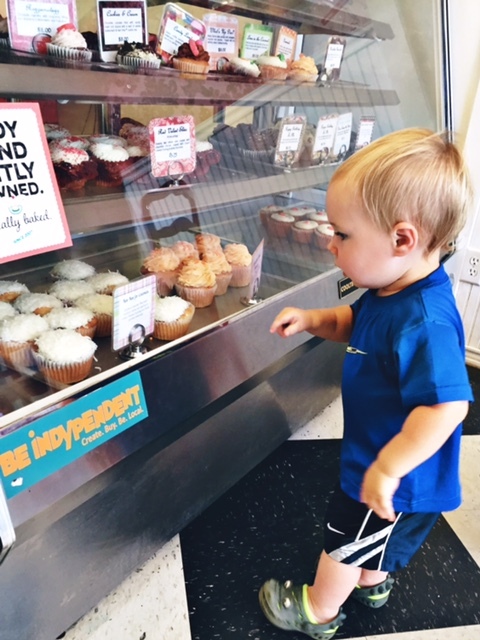 This post was contributed by Jessica Spencer who is part of the Savvy Sassy Mom Product Scouts program. 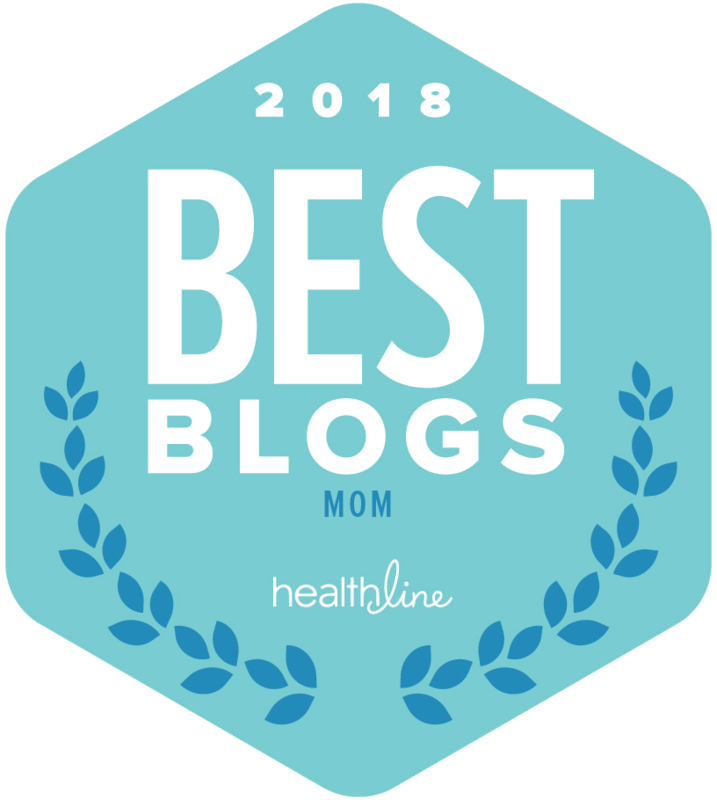 You can find more from Jessica on her blog, The Average Jess.